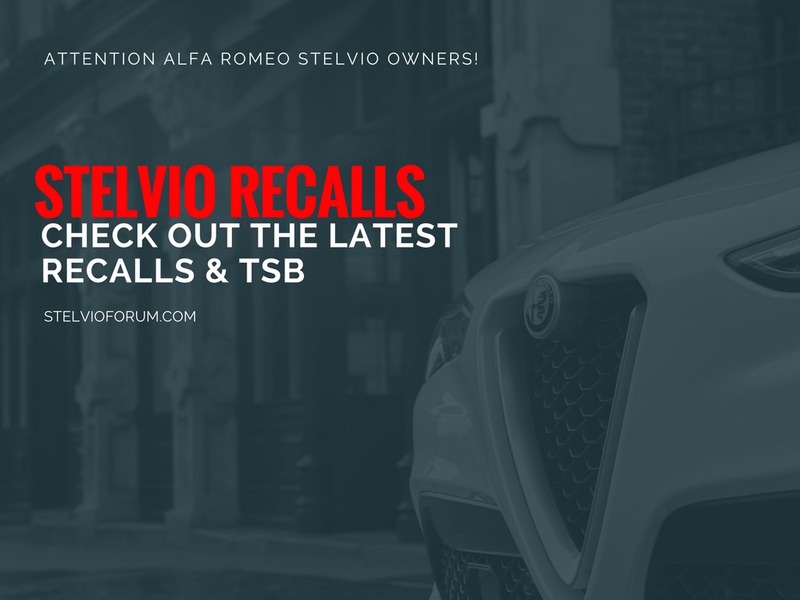 There are 2 new recall notices for the 2018 Alfa Romeo Stelvio. The first recall is for the tailgate and the second is for the water leak. Please check the 2 threads regarding the issues below. Parts are arriving as I bought my Stelvio on Friday and planned to wait for the parts. They came an hour later, my car was corrected and I picked it up yesterday. It is a fabulous vehicle!!!! Parts are in and cars should be ready for sale any time now. My Friday purchase became a Saturday delivery! Had my recall work done this AM - went very well, dropped off at 9 and picked up at 1 - Giulia loaner, gas topped off and car washed. Jeff D'Ambrosio in Frazer, PA.
How would I know if the recall is done on my car or it even need it. If I bought/leased my car in first week in July would these recalls have been addressed? Is there a way to check?